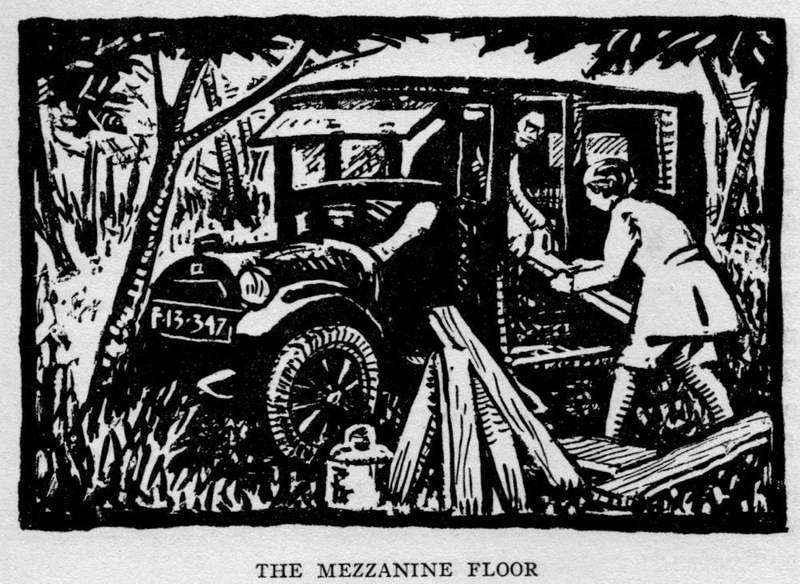 The article describes how Norman Wilkinson's letter to the Admiralty of April 27th 1917 enumerated "all the objects which dazzle-painting still aims for" and how the scheme was approved by the Admiralty on May 23rd. Work on the first experimental ship, "The Industry" began shortly afterwards. 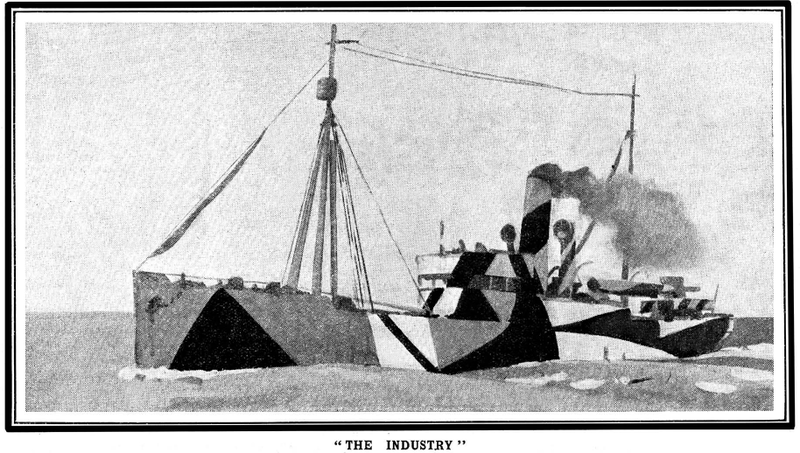 "The Industry" was the first dazzle ship, painted at Davenport in under 48 hours. "It is interesting to know that the pattern on The Industry was never changed, and right up to the end of the war, and running through quite dangerous seas, she escaped all torpedo attack." 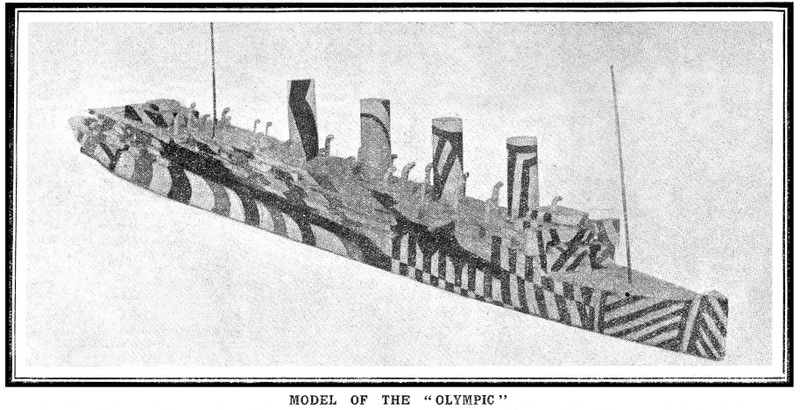 The later dazzle design on "The Olympic" illustrates the use of a false bow "also distortion and confusion of the bridge and general long lines of the hull, while the curves on the stern counteract normal curves of the ship." An incident in which "The Olympic" rammed a German submarine seemed to support the value of the dazzle patterns. "... the submarine was discovered just under the bows of the ship. It may be judged from this that the commander had estimated that the ship was steering on a much wider course. The dazzle-painting of the Olympic was designed to produce this effect." Jan Gordon's article reports how the perceived "success of dazzle-painting was such that it was adopted by the French and Italian Governments, and after a visit of Lieutenant-Commander Wilkinson to the United States, by the American Shipping Board."